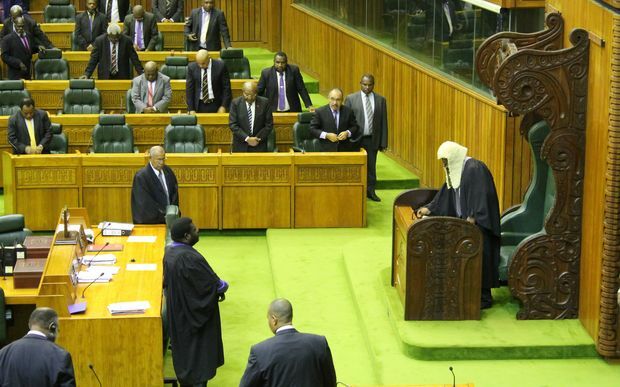 The Papua New Guinea Parliament will sit today to elect the Speaker and Prime Minister when the House convenes at 10am this morning. The remaining five seats – Eastern Highlands regional, Chimbu regional, Southern Highlands regional, Kundiawa-Gembogl open and Kandepa open -have not been declared while Madang Regional was declared late Tuesday. The writ for Madang Regional winner Peter Yama is expected to be returned before the 111-seat Parliament meets. Before Yama’s late declaration, Electoral Commissioner Patilias Gamato had returned a total 105 writs at 4pm Tuesday, including the latest five from Gumine open, Nipa-Kutubu, Usino-Bundi, Kagua-Erave, and Jiwaka Regional, to Governor-General Sir Bob Dadae. Port Moresby commuters and motorists using the Gordon-Waigani areas in the vicinity of Parliament House and government departments are likely to be inconvenienced today as police set up roadblocks and redirect traffic to control movement of people to witness the formation of government. This is the first session of the new Parliament since April when the last Parliament rose to go to the National Election. The Peoples National Coalition (PNC)-led coalition have nominated Peter O’Neill as its nominee for Prime Ministership while the Alliance for Change (AFC)have nominated National Alliance leader Patrick Pruaitch as its nominee. The person with most votes will be declared the Prime Minister-elect. Meanwhile, it will be the Electoral Commissioner who will decide whether to reissue another invite to PNC to form government. That is the likely scenario to occur today, according to political parties registrar Dr Alphonse Gelu, following the direction by the court to extend the return of writs to 2pm today. Dr Gelu said PNC will still be the recipient, he would further clarify with registry lawyers on the invitation being issued again. Dr Gelu reiterated the process once more on the process of the invitation. “The process is very clear that it will be the Electoral Commissioner that will advise the Governor-General and the GG will do the invitation. “But the process leading up to the invitation is when the Registry of Political Parties must be informed about this and we are the ones that will initiate the process,” he said. Gelu said the role of the Electoral Commission goes as far as the return of writs. After this the Registrar of Political Parties will come in and inform on how the government should be formed. “That is my role starting from the invitation going as far as parliament when the prime minister is elected. That is the role of the Registry of Political Parties under the Organic Law.”.